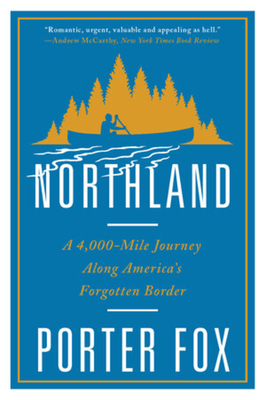 Writer Porter Fox spent three years exploring 4,000 miles of the border between Maine and Washington, traveling by canoe, freighter, car, and foot. In Northland, he blends a deeply reported and beautifully written story of the region's history with a riveting account of his travels. Setting out from the easternmost point in the mainland United States, Fox follows explorer Samuel de Champlain's adventures across the Northeast; recounts the rise and fall of the timber, iron, and rail industries; crosses the Great Lakes on a freighter; and traces the forty-ninth parallel from Minnesota to the Pacific Ocean. He weaves in his encounters with residents, border guards, Indian activists, and militia leaders to give a dynamic portrait of the northland today, wracked by climate change, water wars, oil booms, and border security.